So, what do the documents say? What is on my mind this morning is the US governments desire to have things both ways, oftentimes at the expense of its citizens in the name of “National Security,” and how Wikileaks release of the cables effectively does what an American citizen is unable to do, shine a light on a government that seems to no longer feel it is accountable for its actions. Since 9-11, government abuse of privacy and civil rights in our country has sped up to an alarming degree. Illegal wiretapping, infiltration and monitoring of activist groups including the prior arrests of citizens in New York and Denver before national political conventions, the government monitors the internet, shuts down websites without court order…etc, all in the name of business and National Security. We have our citizens being spied on, inadvertently put on no-fly lists, intrusively screened and patted down at airports, being told they can’t get within shouting distance of politicians and in many other ways restricted, all with little to no recourse at all. Wars are begun in Afghanistan and Iraq. People are illegally extradited. Large financial institutions are bailed out with our money while the same financial institutions illegally foreclose on our homes, in process making even more money while the government does nothing to stop it. In the Gulf of Mexico there is an alarming and growing health crisis as a result of chemical poisoning from the BP oil spill and the government simply pretends it isn’t happening. Katrina killed well over a thousand people and though everyone knew the levees had been suspect for years, the government did nothing about it and seemingly even less when they broke. We now have torture in this country, we are lied to every day and encouraged to feel afraid by politicians who dismissively speak the phrase, “It’s a new world,” and then justify all by telling us “we don’t understand the real dangers,” all while a complicit media agrees to being embedded with troops, accompanied by the National Guard in New Orleans, and in the Gulf told to get on board or get out. And we as citizens have no recourse. All of these arguments hold the same water these days as a parent telling a child to do or not do something, simply because the parent “told you so.” The American government has become so accustomed to manageable reaction, they now engage freely in these acts of lazy parenting where we are told our patriotic duty is not to question, but instead go shopping. So Wikileaks comes along and does what none of us has been able to do, they shine a flashlight on the whole damn thing by exposing our unvarnished foreign policy goals, our comments about various leaders, our diplomats unfiltered opinions about the actions of our government, their successes, their failures and their embarrassments. 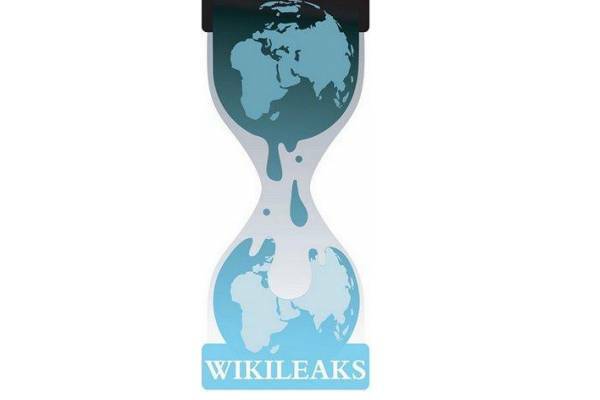 Already various members of Congress are calling for Wikileaks to be declared a terrorist operation as a result of this release because it is, of course, harmful to National Security. And I’d also like to think, like any child growing up, eventually “because I said so,” will finally stop working and the parent must at last begin to explain their reasoning to every American citizen. Previous Post Making Things Right…By Whose Definition?